"DUBVASION setzen da an, wo Klaus Schulze in seiner Zusammenarbeit mit Pete Namlock („The Dark Side Of The Moog“) aufhörte: Synthesizer-getriebenen Dub mit Cello - Ein ausgedehnter Trip, den man nicht verpassen möchte." 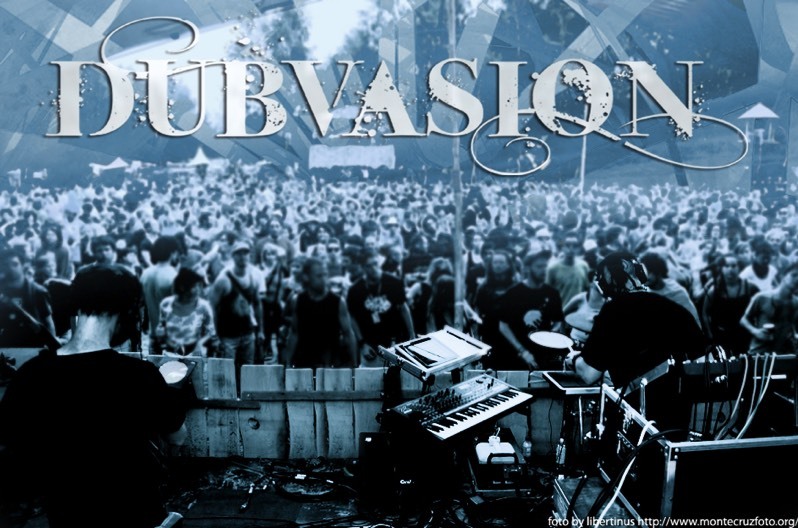 In 2011 GUTS PIE EARSHOT merged their instrumental CelloPunknBass based sound with the melancholic breakcore, liveelectronics under the project name SUBVASION. The album,Lost At Funfair" was followed by an extensive tour in Germanyand Switzerland. Now they already changed their name again intoDUBVASION. With electronic cello, drums and keyboard leadsthe DubTechStep, they continue their musical path betweenPunknBass, tribal dance, dub techno and melancholy live without neglecting their own punk roots. Their new EP "From Afar" amalgamates influences from classic DubHouse and contemporary Dubstep, keeps an eye on solemn cellos and distorted guitars that also play a key role in their main band project, takes beats and pieces from genres like EBM, Tribal and Psychedelic or Ritual Trance and form something unique, a new musical shape to function live and on the dancefloor due to its massive gravitational pull and heartfelt seductive approach. Dubvasion are serving music for the emotionally deep without being cliche, exploring unknown terrain that still has to be named yet. What about Vampire Bass or Dub Nocturne?"